The folding beam consists of a thick plate for maximum resistance to bending forces with a machined seat to receive the standard .787″ (20mm) or the thin .390″ (10mm) or .250″ (7mm) bending blade. A micrometer nut setting allows adjustment for large variations in material thickness. Actuating members rotate the bending beam into position from both ends of the machine, using a variable speed drive (VSD) for accurate control over programmed bend angles. Mechanisms are mounted within reinforced connections for improved performance. The lower beam is a welded reinforced structure fabricated of thick steel keyed into the end housings. The lower beam is pinned in place, and close-coupled to the end housings and upper beam for improved rigidity. The advanced design of this beam delivers superior hemming results in galvanized sheets. 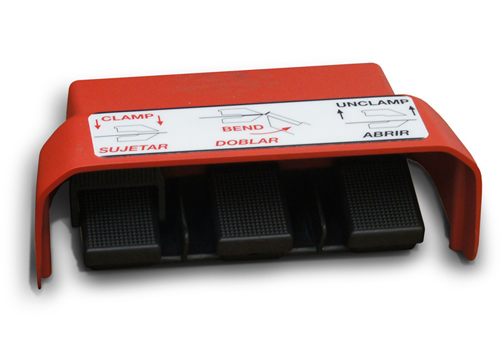 Operating mechanisms of the Generation “2” Autobrake are enclosed within attractive end covers. 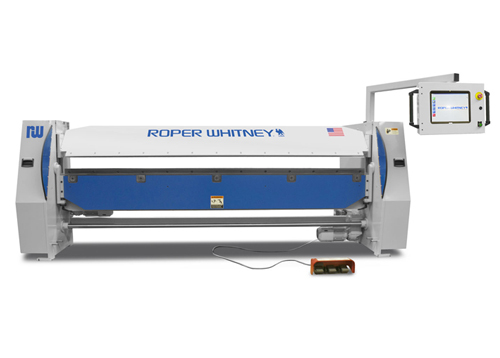 Each cover is equipped with lift points for easy removal from the machine, presenting all moving parts for easy maintenance. 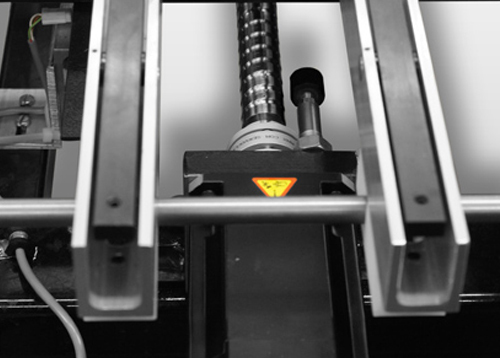 Covers are nested on tapered mounts for easy attachment to the ends of the machine.